We operate a range of Lumsden Grinders up to a table size of 84″ (2130mm). 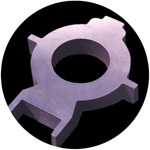 A fabricated machine stand with a ‘flash ground’ top. A large, refurbished and ground rotor for the paper industry. 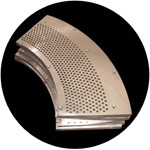 Ground perforated segments for the paper industry. A profiled and ground blank for the valve market. A large bed plate flame cut, flashground and drilled. Two large bespoke bearing housings.